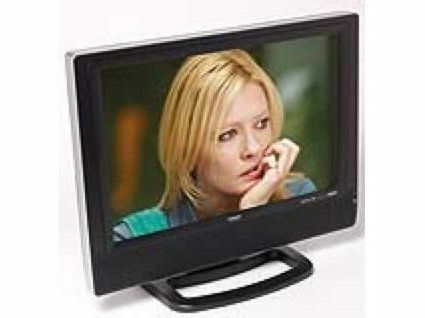 In time-honoured Goodmans style, the GTVL20W7HD seems just too good to be true. The puny price bags you a 20-inch widescreen TV that's fully HD ready and can double up as a PC monitor. Surely it can't also be any good to boot, can it? It certainly doesn't look cheap. The matt black screen frame is actually very stylish, and even feels quite robust. The connections, meanwhile, include both HDMI and component jacks for digital and analogue hi-def connections respectively. Plus, you get an RGB Scart, the D-Sub PC jack hinted at earlier, and the usual S-video and composite video suspects. All of which adds up to far more connection flexibility than you've any right to expect for £350. Normally, we'd expect an HD ready TV of this size to employ a native pixel count of 1,366x768. But remarkably, the 20W7HD crams 1,680x1,050 pixels into its diminutive screen. Even more unexpectedly, it proves able to take 1080p HD feeds as well as the usual 720p and 1080i ones. Strewth. Other specifications for the set are rather less spectacular, with a fairly standard contrast ratio claim of 600:1 and an actually rather low brightness claim of 300cd/m2. Other features are pretty much restricted to a backlight adjustment. The 20W7HD's performance is in some ways better than expected. In terms of fine detail, for instance, it's particularly assured, delivering a greater sense of texture and sharpness than even the much more expensive Sony and Panasonic contenders. Most striking is just how much justice the set does to the extra resolution of an HD signal. Black levels are reasonably deep too, and colours combine good dynamics with believable tones and a fairly subtle palette. Finally, in the plus column, motion is handled reasonably crisply, at least with high quality sources. These strengths make pictures at times very likeable, but there are a few minor issues and two quite major ones to report. The minor ones include a rather hollow look to dark parts of the picture; 'waxy' skin tones; a slightly unstable look to acutely detailed picture elements and a slightly over-exposed, smeary look to low-quality sources. The major ones are these. First, the set's unusual 1,680x1,050 resolution (which gives a 16:10 aspect ratio) sadly makes anamorphic widescreen sources, including HD, look stretched vertically. Second, watching DVDs via the HDMI jack can throw up considerable evidence of MPEG noise in the picture. Sonically, the GTVL20W7HD is average. There's a reasonable amount of detail in the soundstage and solid volumes can be reached without distortion, but a lack of bass leaves soundtracks sounding thin and unconvincing when the going gets tough. We really wanted to love the GTVL20W7HD. But unfortunately, due to a couple of serious glitches, ultimately the best we can do is not actually dislike it.